ServiceMaster 24 Hour has been a trusted provider of disaster restoration and cleaning services in Largo, FL and the surrounding area in Pinellas County since 2003. Our business was started by our current owners to provide services in the greater Tampa Bay area which was an underserved market up until 2002. Since our beginning, we have expanded our management team as well as our services and equipment to better serve homes and businesses in Largo, FL with a wide range of disaster restoration and cleaning services. Our dedication to providing outstanding service has won us several awards including the 2008 Business of the Year Award Greater Brandon Chamber and the 2012 Large Business of the Year Southshore Chamber Award. The main services that we provide in the Largo, FL area include water damage restoration, fire damage restoration, mold remediation, content cleaning and pack-out services, and reconstruction services. 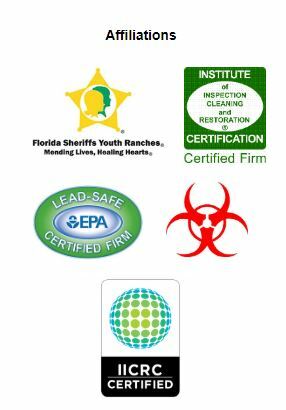 Each of our technicians have been IICRC certified, EPA lead certified, mold state certified, and certified in 40 Hour Hazardous Waste Operations and Emergency Response and we have the training and equipment to work in residential and commercial settings. We have participated in several large scale disaster restoration projects such as cleanup for Hurricanes Irma, Jose and Harvey, Shriners Hospital, and Costco as well as the cleanup effort on 9/11. Our phone lines are open 24 hours a day at (727) 228-7282 to respond to your emergencies in Largo, FL. The most common type of property damage is water damage because it can be caused by internal and external factors such as flooding, rain, burst pipes, and leaking fixtures. If you do not take action right away, minor water damage can become a very serious problem. Excess water spreads quickly through absorbent building materials which can lead to extensive structural damage as well as mold growth. 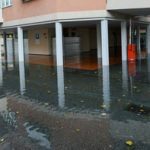 ServiceMaster 24 Hour provides water damage restoration services in Largo, FL to remove excess water with our advanced drying equipment and repair any damage. Make sure to call us immediately after finding water damage to stop its spread. Flooding can be very dangerous and when it happens in a home or building, it is also damaging. Extensive flood water quickly gets absorbed into porous building materials and furnishings which can cause widespread property damage and structural issues. 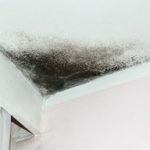 The excessive moisture also increases the risk of mold growth which can threaten your health as well as your property. 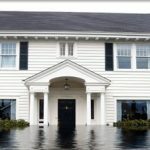 ServiceMaster 24 Hour provides flood damage restoration services to extract water from flooded homes and businesses in Largo, FL. Our technicians can fully remove standing flood water with our water extraction equipment and we will also ensure that the affected areas are dry to prevent mold growth. 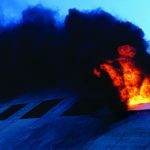 Few disasters are as dangerous or destructive as a fire and when they occur, it is most important to make sure that everyone involved is safe. 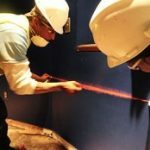 Once you ensure everyone’s safety, your efforts should immediately turn to the restoration because soot and corrosive byproducts can spread damage long after the fire has been extinguished. ServiceMaster 24 Hour provides fire damage restoration services in Largo, FL to help homes and businesses recover after a fire. We can cleanup and remove soot from various household surfaces as well as repair structural damage from the fire, but you must act quickly because fire damage can become permanent within just a few days. It can be difficult to stop mold from growing in your home because mold spores are already present in the environment. When mold spores meet the right conditions which include a food source such as wood or drywall and moisture, mold will start to grow and spread throughout the building. ServiceMaster 24 Hour provides mold remediation services in Largo, FL to remove mold growth within a 10 square foot or smaller area. For mold growth that covers a larger area, we can contain and isolate the mold and recommend an environmental testing service to complete the remediation. You must react quickly after discovering mold growth because it can spread to cover a larger area and cause significant damage throughout the house. Most major disasters do not stop after just damaging the structural elements of your home, the damage often spreads to your personal content as well. It can be aggravating to find your personal items damaged after a disaster and if they are not restored right away, the damage can easily become permanent. 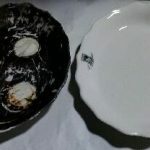 ServiceMaster 24 Hour provides content cleaning and restoration services in Largo, FL to help clean and restore personal items that have sustained damage. We can clean your content within your home or if your home needs to be restored, we can pack-out your belongings and take them to our secured facility for cleaning and restoration. The cleanup is only part of the total restoration after a disaster as much of the structural damage may require rebuilding. At ServiceMaster 24 Hour, we are committed to providing complete disaster restoration services which include construction services to rebuild damaged homes and buildings in Largo, FL. We can provide construction services for homes, multi-tenant buildings, retail stores, and large commercial and industrial buildings which include general contracting, building stabilization, and full remodeling services. Our technicians will schedule, plan, and manage the entire project and ensure that your home or building is restored to its original condition. A great deal has been learned about hoarding in recent years that has led to a better understanding of the disorder as well as more effective services. Hoarding often manifests as an inability to throw anything away which leads to a growing hoard of items that can create dangerous and unsanitary living conditions. 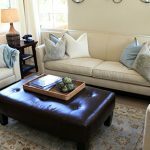 ServiceMaster 24 Hour provides hoarding cleaning services to help those who are affected by hoarding in Largo, FL clean and restore their homes. We use the most advanced cleaning products and equipment available for effective cleaning and we take a compassionate and respectful approach that involves the affected individual in the cleaning process. Major accidents and violent crimes may be a rare experience for most people, but they can happen at any time and they create a very difficult situation. These scenes usually contain biohazard materials that are very dangerous to handle and witnessing such a scene can be traumatizing. You must call 911 for emergency assistance as well as a licensed professional that can safely restore the scene. ServiceMaster 24 Hour provides biohazard and trauma scene cleaning services for homes and businesses in Largo, FL. Our technicians can safely remove any biohazard materials with our advanced equipment and we take a compassionate approach to help ease the emotional burden. Residents are aware of the potential for serious storms in the Largo, FL area and when they happen unexpectedly, they can cause significant damage to your home or building. Thunderstorms and strong winds, especially from a tropical storm or hurricane, can tear apart your siding and roof or knock over trees which can cause even worse damage. ServiceMaster 24 Hour provides comprehensive storm damage restoration services to help repair damaged homes and buildings in Largo, FL. Our technicians will secure the building to keep it protected and form a plan to get it rebuilt to its previous state. ServiceMaster 24 Hour has a partnership with local insurance agents in the Largo, FL area to help coordinate the insurance claims between our clients and their insurance providers. In order to make this process more convenient for our clients, it is beneficial for the insurance agents to know the details of our restoration processes so they can provide their clients with more accurate claims services. 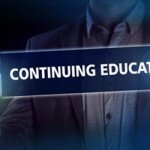 We offer continuing education (CE) classes for local insurance agents and adjusters that cover the methods involved with our main restoration services. These classes are free to attend and count towards the CE credit hours required by the state. 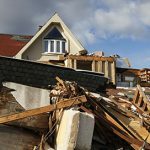 The restoration and repair costs following a major disaster to your home or building can be quite expensive which is why many people choose to pay for these services through their homeowner’s insurance. Unfortunately, there are some types of damage your homeowner’s insurance may not cover, forcing you to seek an alternative route to pay for the restoration. ServiceMaster 24 Hour can work with homeowners who have experienced damage that their insurance policies do not cover or who choose not to file a claim by providing restoration services through our FlexServ program. With this program, we offer equipment rentals and additional professional assistance so you can take care of the restoration process yourself to keep the cost down.